Ducati.ms - The Ultimate Ducati Forum > General Discussion > Travel, GPS Chat and Ride Tales > Affordable GPS Tracker. 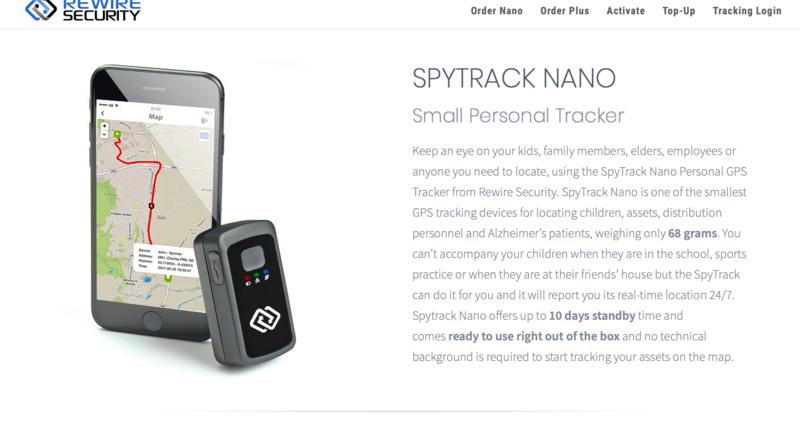 If like me, you were put off with the high purchase cost and monthly contract with GPS trackers you are in the right place. 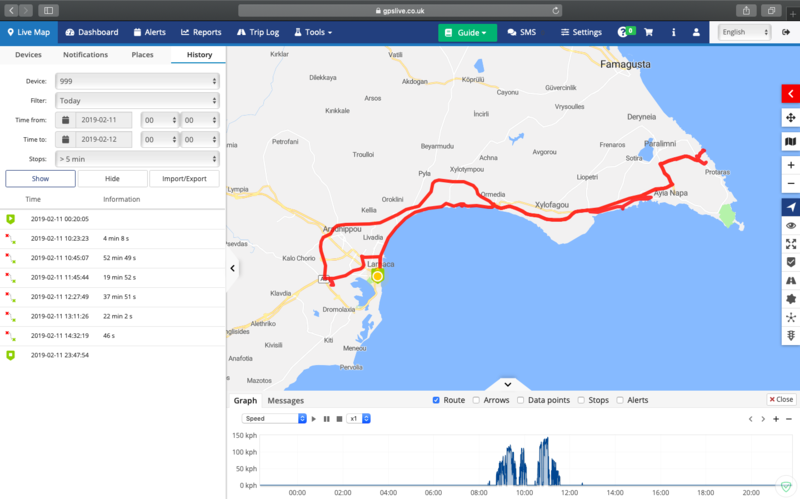 Middle of 2018 I started to search in earnest for an affordable GPS tracker as I was planning a Euro trip for 2019. Unfortunately, that idea went up in smoke and my savings went elsewhere. I found a company in UK selling a product (made in EU) with global coverage at a very good price compared to competitors. I purchased the DB1-Lite which was pre-configured, all I had to do was install using positive and negative wires, download the software and well, that was it. It has the ability to send sms alerts when movement is detected, kill the engine, plus many other useful things. All your rides are recorded and saved for 12 month in the cloud server. 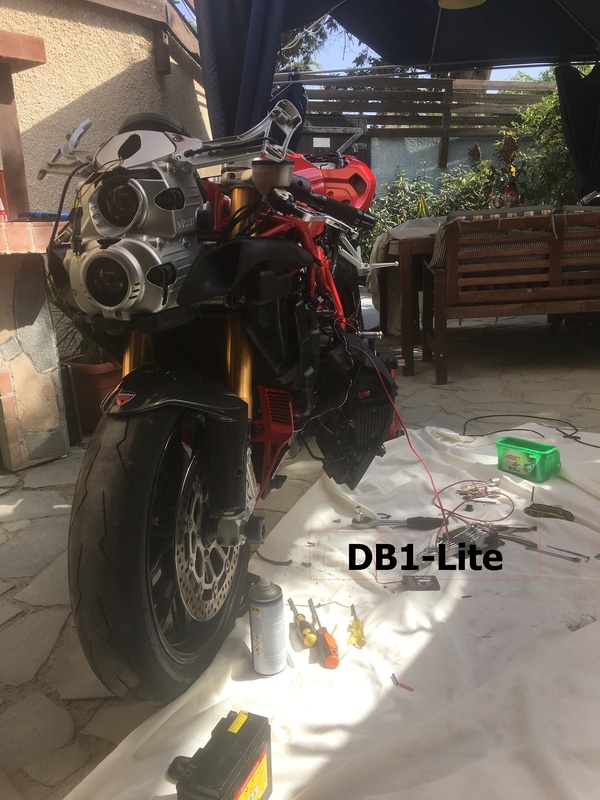 If the bike is stolen and the battery disconnected the internal lithium has enough power for 8 hours of reporting time. More than enough time to find a gun, I mean your pride and joy. I have had this fitted for a few weeks now and found it extremely accurate. The support given is second to none with replies always within 24hrs. I have no connection with the sellers, I'm just super stoked that it works far better than my expectations. Hope this helps someone if you were on the fence. What is the monthly fee (or is it free) for the cellular service? I had such devices cheaply on G-2 network here in the states which was turned off a few years ago. I used it on the motorcycle, bicycles and my errant dogs. All the new stuff is on 3G cellular and is a little pricey as well as a battery drain here in the states. Would like to have something so if someone has found something I would love to hear about it. I paid a total of 110 pounds, broken down its 50 pounds for the device and 60 pounds for 12 months data service. That works out at 5 pound ($6) per month. The link explains everything in detail. I can't comment on battery drain as my bike is always hooked up to an Optimate when not in use. The tracker position is reported in real time on your PC, MAC or phone which may be useful in your dog scenario.